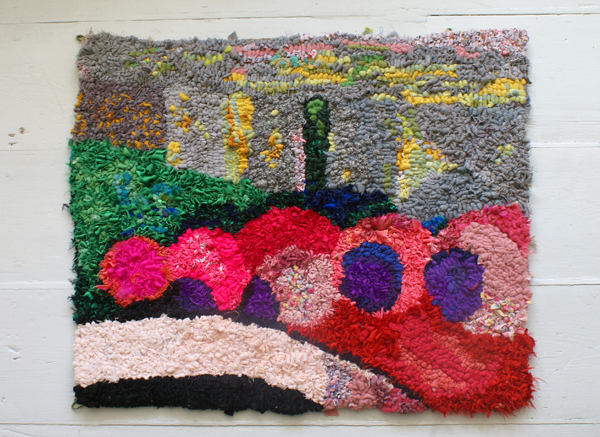 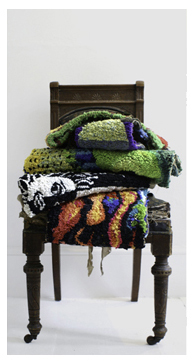 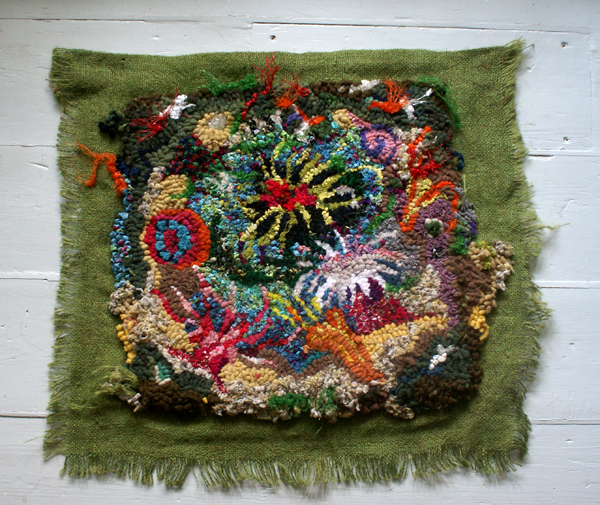 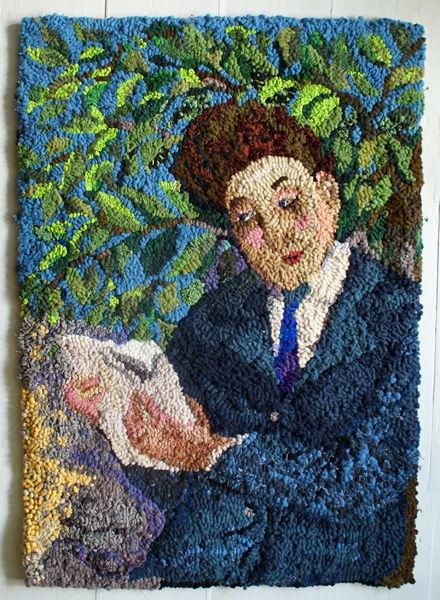 Hand-made rag rugs, artist-designed and made from recycled materials. 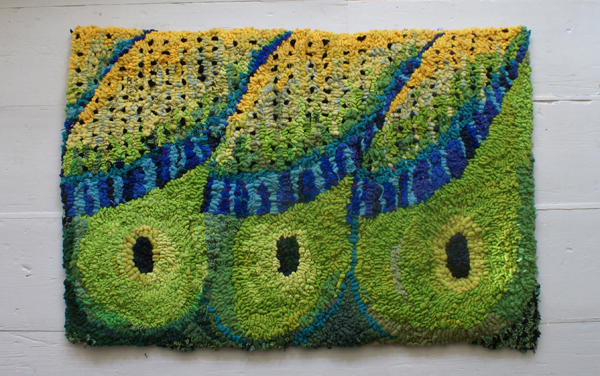 Each rug is unique in size, materials and design. 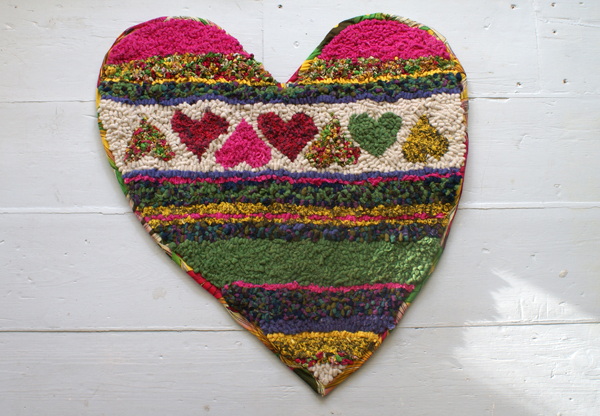 The rugs pictured here range in size from 8" square (supplied in a simple frame if required) to a heart shape, to a 24" x 36" rectangle. 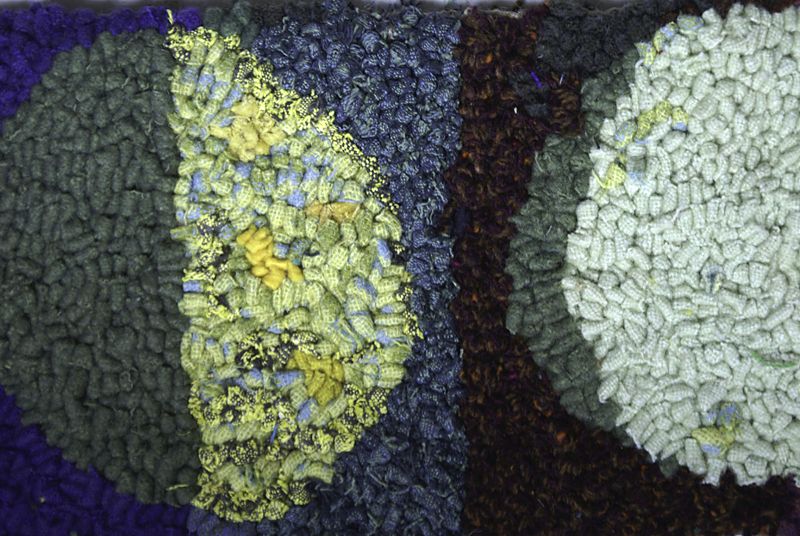 Larger, squarer, longer, circular and irregular shapes are all possible – we are making new ones all the time. 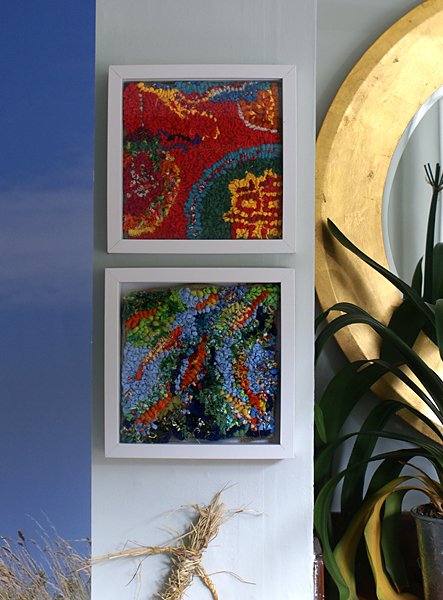 We will work to order and are happy to accept commissions.